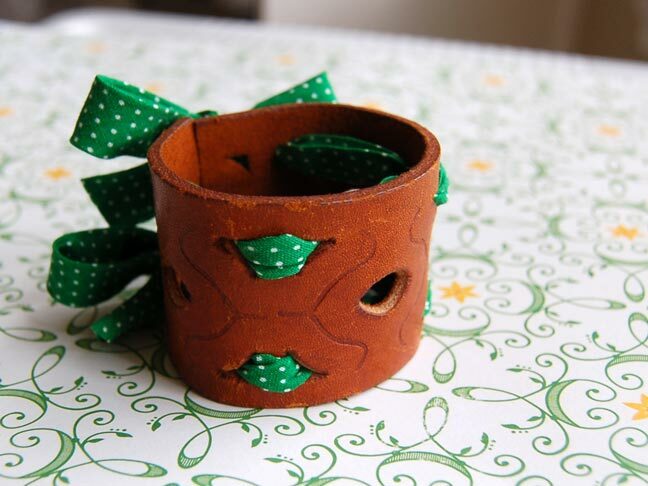 A thrifted leather belt turns into a cute ribbon cuff. Start with a thrifted leather belt. Cut a strip of the belt a length that will fit around your wrist. 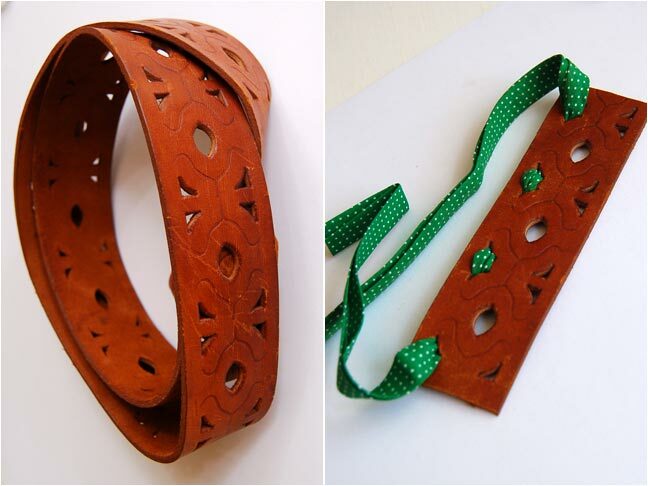 If your leather does not already have holes in it, you can use a leather hole punch to create your own holes. Cut two pieces of bias tape for ribbon about eight inches longer than your leather strip. Weave the bias tape through the holes, leaving even amounts at each end. 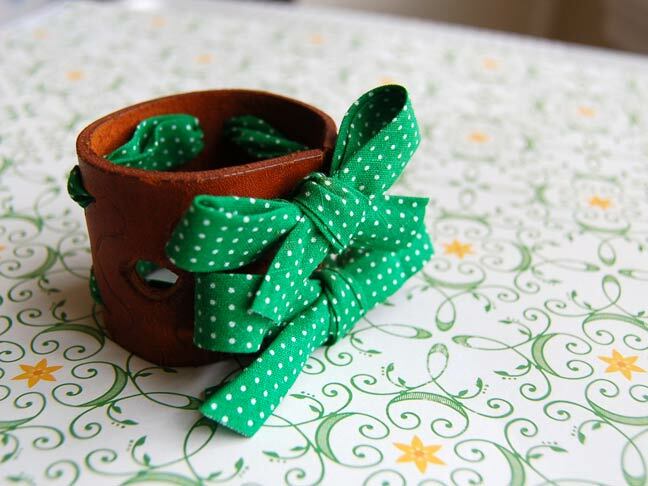 Tie the bias tape into bows to close the cuff. So, so easy. 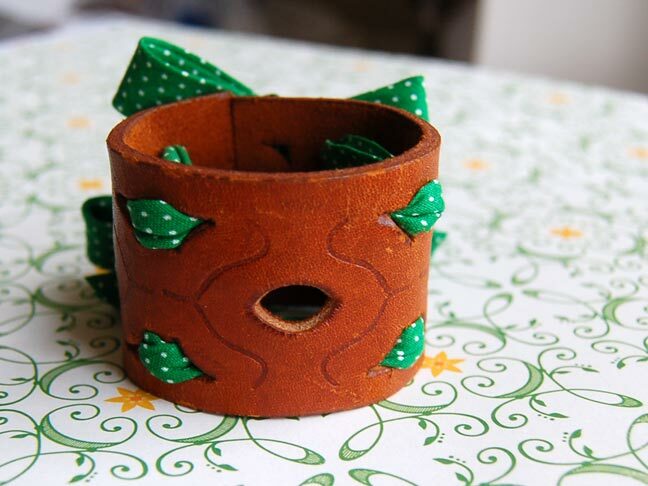 Now… what to do with the remaining leather?